AVENGED SEVENFOLD's M. Shadows and Synyster Gates, KORN's Jonathan Davis, SYSTEM OF A DOWN's Daron Malakian, Shavo Odadjian and John Dolmayan, the members of BLINK-182, BRING ME THE HORIZON's Oli Sykes, YELLOWCARD's Ryan Key, Machine Gun Kelly and Kiiara will perform with the surviving members of LINKIN PARK at the Hollywood Bowl in Los Angeles on October 27. The concert will mark LINKIN PARK's first appearance since singer Chester Bennington's death in July. LINKIN PARK said in a statement that they'll be joined by a number of artists who knew Bennington or were influenced by his music. 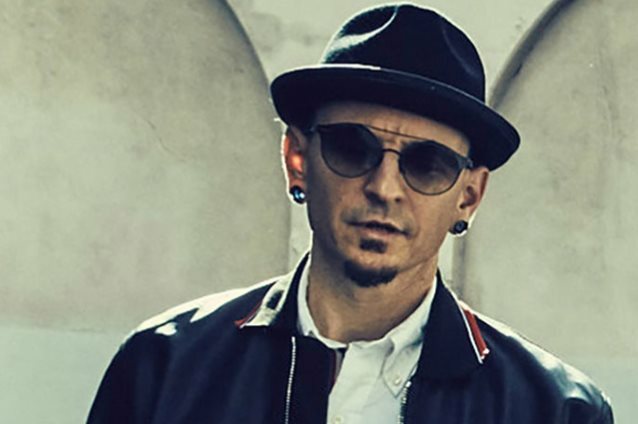 LINKIN PARK vocalist Mike Shinoda spoke publicly for the first time about the death of Bennington and the band's future in an interview on Monday (September 18) with Los Angeles radio station KROQ. Discussing the group's Bennington tribute concert, Shinoda said, "I had gone to [producer] Rick Rubin as a source of guidance. He had said, 'I think you guys need to get on stage. I think that'll be the thing that'll feel good. It'll be super, super hard.'" Shinoda continued: "We haven't gone out together in public, we haven't played — we haven't gone on stage... I know that for some of the guys in the band, getting on stage is more scary than [for] other guys in the band, but I will say that for all of us, it's definitely the thing that we want to do. It feels like the right way to celebrate Chester." Shinoda said about his late friend and bandmate: "I know that the circumstances of his passing were really dark, and as we said at the time, the darkness that he had was always there and was kind of part of the package, but what was so unique and special about this guy is that he used it as fuel to do so many positive things… He was such a happy guy, he was such a fun guy. When he'd walk in the room, there was such a positive, funny, upbeat energy, and that's what we wanna get out of this show." Shinoda admitted that the show will be a "roller coaster of emotion" and added that plans for it are still coming together. 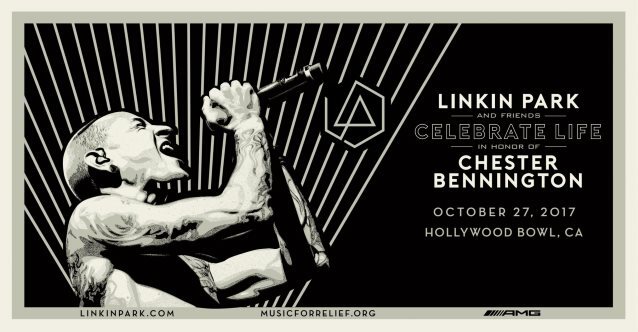 Proceeds from the concert will go to Music For Relief's One More Light Fund in memory of Bennington.